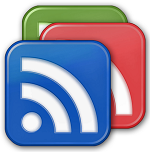 RIP Google Reader, Long live Feedly! They say RSS is dead, yet for years Google Reader has been my number one resource for technical news and insight, and I don’t think I’m the only one! Following 70+ individual blogs and news sites, I regularly breached Google’s 10,000 feed items per month, but sadly after nearly 8 years Google are finally pulling the plug tomorrow. If you haven’t already made plans to replace your aggregator, now is your last chance to do it! If possible, an easy migration path, e.g. though OPML support or similar. Fortunately, Feedly has turned out to meet all those requirements and more! Not only does it support gReader (with Reeder support coming soon), they implemented a one click migration process, where you simply give them permissions on your Google Reader account, and they will migrate your entire feed list in one go, replicating it on their system. Awesome! The only thing left was to log out of gReader on each of my devices in turn, and log back in using the Feedly account option, job done! If you want a recommendation for a great Google Reader replacement, you won’t go wrong with Feedly!